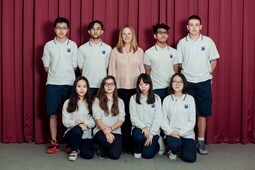 Diploma Programme at Léman International School. 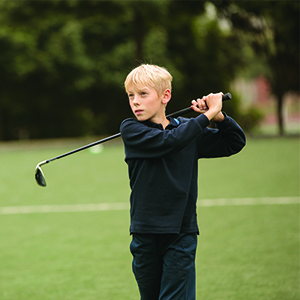 The International Baccalaureate (IB) Diploma Programme is a comprehensive course of study designed to be undertaken in the last two years of secondary school. The Diploma model incorporates the best elements of many different education systems. It is a deliberate compromise between the specialization required in some national systems and the breadth preferred in others. The curriculum is displayed in the shape of a wheel, with six academic areas surrounding the core of the three unique core requirements. Subjects are studied concurrently over two years. Diploma students need to take 3 higher level subjects and 3 standard level subjects as well as complete the IB core elements: (Extended Essay, Theory of Knowledge and Creativity, Activity and Service). The Millennium University College in Islamabad, Pakistan. Spanish language study in the south of Spain. The most valuable lesson our current graduating class said they learned was about having an "growth mindset", about becoming a self-advocate and working with their teachers to achieve the goals they set, about being accountable and responsible for their own learning and allowing our CAS programme to help them connect to to create a sense of community. Our current grade 11's are about to embark on their final IB Diploma phase as they enter grade 12 next year. Today and Monday they are completing an important IB Diploma task, which is their group 4 science project. Our grade 11 chemistry, physics and biology students are collaboratively working with their Diploma science teachers to address an issue of concern to them and then they will design a possible solution. The aim is for the students to work in a multidisciplinary way and to learn from each other. Next year the grade 11's will be submitting more course work to the IB, completing and submitting their 4000 word original research paper (Extended Essay) and preparing for their mock exams in March and final ones in May, all the way staying engaged in school and completing their CAS and Theory of Knowledge programme. We believe our students are growing and we want to challenge them to learn from our previous graduates. One of our 2017 graduates said that he changed while he was in the IB Diploma programme: his self awareness grew, his concern for others grew and he came to appreciate the development of communication and collaboration skills along side just working hard to get the tasks done. However, he recognized as did our 2018 graduates, that you need to ask for support from your family and teachers. 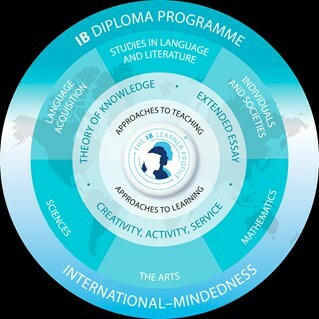 What makes the IB Diploma unique is that is challenges each student to do his/her best within the supportive and caring environment we have at Léman. Should you have any questions about our IB Diploma Programme or our university guidance process please contact, Mrs Mindorff, IB Coordinator/ University Counsellor.